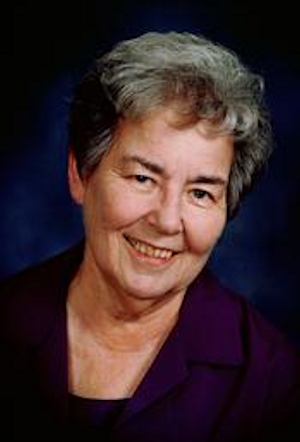 Obituary – Artman, Lorene Marie (Steichen) « Perry High School Alumni Association, Inc.
Lorene Marie Artman passed away on October 30, 2013 at home surrounded by her loved ones. The family will gather to greet friends Sunday evening at Trout Funeral Home at 6 pm. Mass of Christian Burial will be held at 10 am Monday morning at St. Mary’s Catholic Church with reverend Kevin Ratterman Celebrant Officiating. Burial will follow at St. Mary’s Catholic Church Cemetery under the direction of Trout funeral Home. Lorene was born April 21, 1929, in Perry Oklahoma, daughter of Al and Rose Steichen. 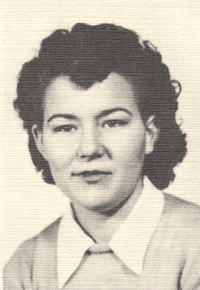 She attended school in Perry, OK then moved with her parents to Ponca City in 1949. She married E Wayne Artman August 18, 1953 in Ponca City. They lived in Lawton, OK near Ft. Sill until Wayne’s discharge from service. They later moved to Lake Charles, LA and returned in 1962 to Ponca City. Lorene was a checker for Miller Market for a number of years and she worked for City Water & Light Department. In 1994 she went to work for Ponca City School District in the Nutrition department then special education. She finally retired as a substitute teacher in March of 2010 when she had to undergo open heart surgery. Lorene and Wayne enjoyed doing woodcrafts for several years. Together they created countless wooden treasures, traveled to craft shows to sell them and enjoyed their time together. These crafts remain in the homes of the family. They remind us to “enjoy life” as Wayne and Lorene did in those days. It was Lorene’s way to want to make people happy. She spent a lot of time with her grandchildren, constantly vigil over them, encouraging their success in life. Lorene and Wayne traveled together to Alaska in 1990 and Lorene took several trips after. She braved the cold winter weather, spending one Christmas in Alaska with her son and family. One summer adventure was with her sister Barbara and her husband Leon. They traveled down the Turnagain Arm, through the mountain pass to the end of the road; Homer Alaska. They took a trip on the Alaska Railroad, through the beautiful countryside to Seward, and a boat ride in Resurrection Bay to view wildlife. She talked about her Alaskan adventures all the time. Lorene loved sitting on her back patio swing watching the birds, and enjoying her flowers. Her granddaughter always made sure the flower pots were full of the flowers grandma loved. Lorene was a member of St. Mary’s Catholic Church and a dedicated member of the St. Helena Guild where she gave freely of her time. She is survived by son Michael C. Artman and wife Greta Artman of Anchorage, Alaska. Grandchildren, Jeremiah Wayne, Holly Dawn, Christopher Michael, and Matthew James Artman and grandchildren’s mother Victoria Wetzel Artman. Her great-grandchildren, Caitlyn Rachel, Jessy Wayne, Hailey Renee, Curtis Michael, and Spencer Riley. Her sisters, Joan Welborn and her husband Richard Barbara Spielbusch and husband Leon. Her Brother Martin Stiechen and wife Mildred. Her Brother-in-law John T. Armand and Sister-In-Law Joyce Knight.